Joint government initiative Health Innovation Hub Ireland, operates through a consortium of four academic partners, one of which - Trinity College Dublin (TCD) has specific responsibility for the delivery of educational products that will stimulate a culture of innovation in Irish healthcare. This Postgraduate Diploma is led by Prof Seamas Donnelly - Professor of Medicine and Director for Global Relations at the School of Medicine, Trinity College Dublin and HIHI Principal Investigator, as part of this remit. A one-year Level 9 full time postgraduate diploma programme, it is designed to provide in-depth knowledge of the dynamics of embedding an innovation culture within healthcare, and gain insights into the latest thinking on creative and practical implementation of new ventures within medicine. This programme is designed specifically for those working in healthcare who want to make a measurable difference in how healthcare will be delivered in the future. * To gain an in-depth knowledge of the dynamics of embedding an innovative culture within healthcare system. * To gain insights into the latest global thinking on creative and practical implementation of new ventures within medicine. * To develop year-on-year a growing cohort of connected, and networked, innovation ambassadors within the National Health Services as alumni of Trinity’s Postgraduate Diploma in Healthcare Innovation. The Postgraduate Diploma in Healthcare Innovation is a level 9 full-time one year course. It comprises of eight taught modules: six foundation modules and two project modules including methodology workshops and a practical field project. The programme will offer a fundamental grounding in key subjects such as design thinking and embedding a culture of innovation, process innovation, lean thinking and social innovation, innovation and health economics, healthcare, innovation and leadership. The practical project comprising two phases – will help the participants to identify and plan, with a view to implementation, an innovative solution applicable to each participants workplace. 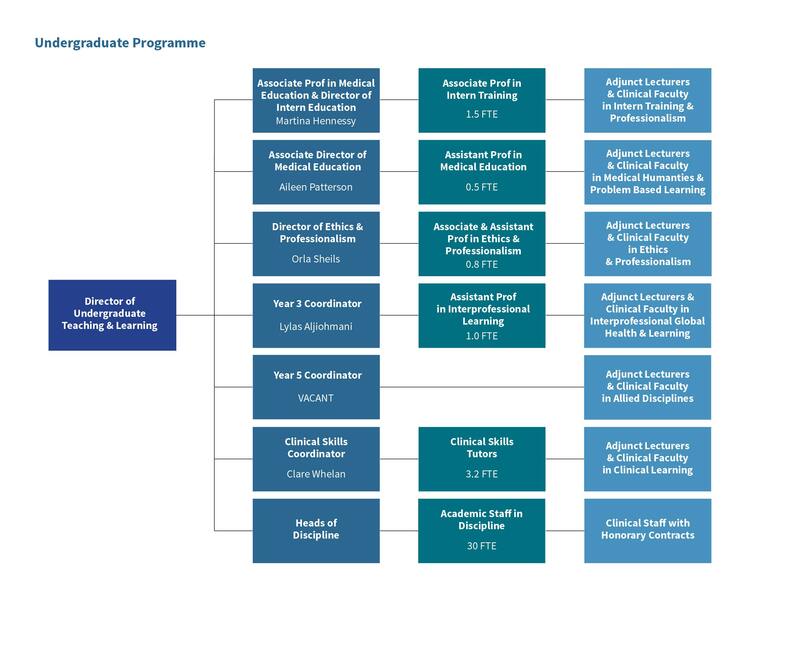 The core of the Postgraduate Diploma involves six foundation modules and a parallel innovation project running as a sequence of two linked modules. This module, which is the initialisation module for the Postgraduate Diploma, is designed to galvanise attention and delve directly, yet confidently, into the complex and rapidly changing world of global healthcare, exploring megatrends, populations dynamics, rising chronic conditions, increasing patient expectations & personalisation all mapped against an unsustainable but ever-increasing cost of healthcare delivery. 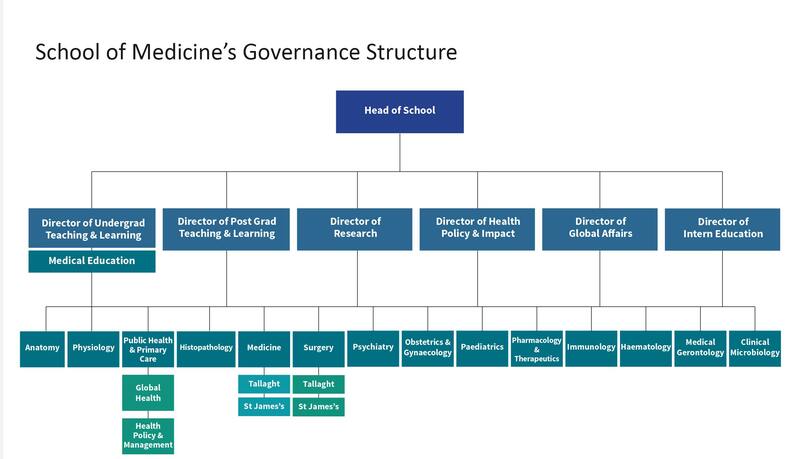 The module will be led by a range of Trinity experts taking an informed view of the present status of healthcare and exploring future innovation and directions with the objective of motivating participants to step-up to the challenge of becoming a catalyst for change, and a healthcare innovation ambassador for the future. A core focus of this module will be the dynamics of the quadruple helix (Government, Academia, Industry, Citizen/Patient) and will explore the impact of disruptive innovation across each strand. Participants will study a range of healthcare case studies in groups. Designing thinking combines what is desirable from a human & patient point of view with what is technologically feasible and economically viable. Design thinking has become a crucial business tool and mindset that enables companies & organisations (and their employees) to think creatively beyond traditional logical and analytical approaches helping them to be agile and responsive to change so they can maintain their competitiveness. The objective of this module is to understand and use design thinking methodologies in a group environment to try to solve healthcare challenges so that creativity and design can be combined with knowledge and experience to accelerate and drive improvements in the delivery of healthcare. Students will explore how healthcare organisations can develop and transform their services, their processes, and create new products ideas. Real world challenges will provide students with the opportunity to develop critical thinking, creative problem solving, and visualisation methodologies. This module focuses students on the creation, development, growth and funding of new ventures in healthcare & life sciences. The module begins with an introduction to the theoretical foundations of innovation dynamics, and then proceeds to build practical frameworks for new venture evaluation with a focus on value creation, and highlighting the balanced interplay between product, market, management, & financing. Students will gain insight into the perspective of the new venture healthcare creation & funding and participate in focused exercises to embed the learning and understanding. This module acts as a foundation stone for framework development in the Healthcare Innovation Project (Modules 7 & 8). Module 4: Process Innovation, Lean Thinking & Quality Centric perspectives. This module is designed to encourage the healthcare practitioner to see “quality” as the central context on which all healthcare services and products are built. Equally this module will explore the strategic advantages of systems-based approaches to healthcare quality improvement, including lean thinking. With rapidly shifting demographics, technological and regulatory contexts, a coherent, sustainable approach to quality and safety management is essential, and this module develops frameworks and analysis tools to support a “total quality driven” perspective, simultaneously exploring the design and improvement of services through evidence-based methodologies. The module focuses on understanding health system outcomes from the perspectives of individual patients to populations served and mechanisms for optimising the safety, effectiveness and value of the complex socio-technical systems through which healthcare is delivered. This module is designed to help the healthcare practitioner to learn how economic principles can usefully be used to analyse health systems and system developments, in particular to understand the roles of incentives, how markets work and how they fail in health systems, how priorities can be set based on economic evaluation and how ageing and demographic change will impact on costs of care. The module objective is to develop an appreciation and to overcome fear when taking an “economics perspective” of healthcare. The module focuses on economic principles, markets and market failure in healthcare, economic evaluation methods and approaches and financing healthcare. There will be a strong focus on how demographic change will and will not affect affordability of health and social care, and on understanding the challenges of evaluation of new treatments and services in the era of multimorbidity. This module brings full circle the understanding of creativity and innovation and elevates the module context to that of leadership within an innovative organisation. The module starts with a theoreticalrevision and consolidation of innovation theories and explores the added dimension of blue ocean strategy. The module then shifts focus to exploring the conditions under which creativity and innovation may be managed within an organisation. What leadership behaviour is driving innovation and what leadership behaviour impacts innovation negatively? Students will study trust, team and reward in exploring motivation factors delivering successful innovations. The module will cover both theory and practice in innovation, and involves a range of lectures, cases and practical applications where participants will be asked to seek resonance with the health services. 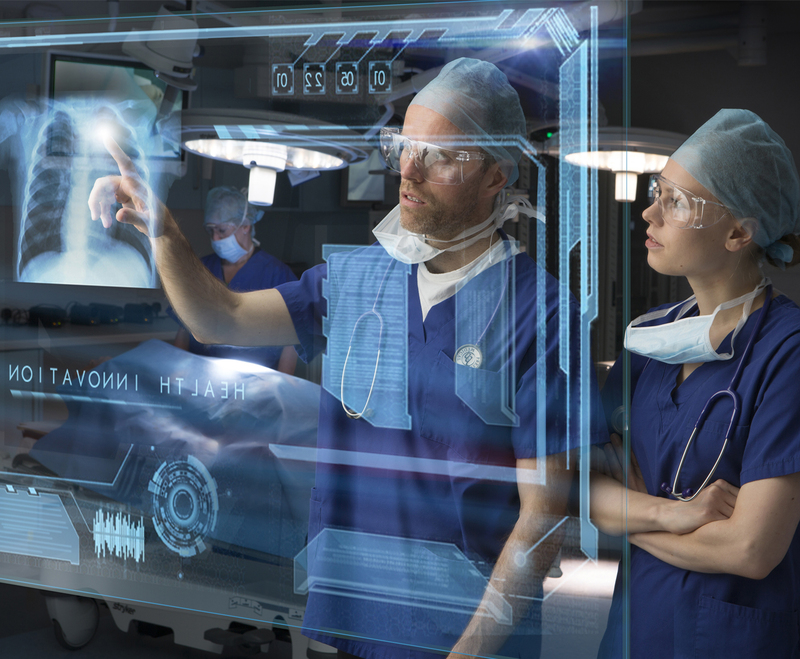 The Healthcare Innovation Project is a critical practical project that integrates multiple strands of innovation theory gleaned from the core foundation modules. The student is tasked with exploring and selecting a range of healthcare challenges, ideally from their workplace, evaluating their potential, and presenting their best ideas & opportunities to an expert panel for guidance. The core of Module 7 focuses on the student identifying and developing a set of frameworks, skill-sets and/or tool-kits to allow high-level evaluation to be made on at least three new ideas. While the expert panel will give guidance to the student on suitability of their presented idea and suggestions for future work, the expert panel does not grade the student. Module 8 is the concluding module for the Postgraduate Diploma, the Practicum where the student is tasked with exploring in a hands-on detailed approach of a specific healthcare challenge of their choice, normally the outcome of Module 7. The Practicum undertakes an in-depth examination going beyond desk exploration to network and collaborate within their own organisation, ideally leading a virtual team to define, scope and test their innovation idea. The testing may include prototyping and practice testing of the idea. Formal presentation of will be made to an Expert Panel giving guidance and criticism to the student on the potential impact of their presented idea but the panel is not tasked with grading the student formally. Grading is the responsibility of the Module Coordinator & teaching staff based on an objective evaluation the student’s level of learning, theoretical frameworks employed, demonstrated ability to solve problems, and a rational and pragmatic balance in the presentation of their idea. The Postgraduate Diploma in Healthcare Innovation is a level 9 one year course. It comprises of eight taught modules consisting of six foundation modules and two project modules including methodology workshops and a practical field project. Workshops are held on Fridays and Saturdays to minimise interference with busy schedules. Full attendance is required. Module attendance comprises two-day blocks approx. every six weeks (Friday & Saturday), to facilitate work release. Each module attendance day consists of eight hours of lecture sessions, group presentations, and in-class exercises. 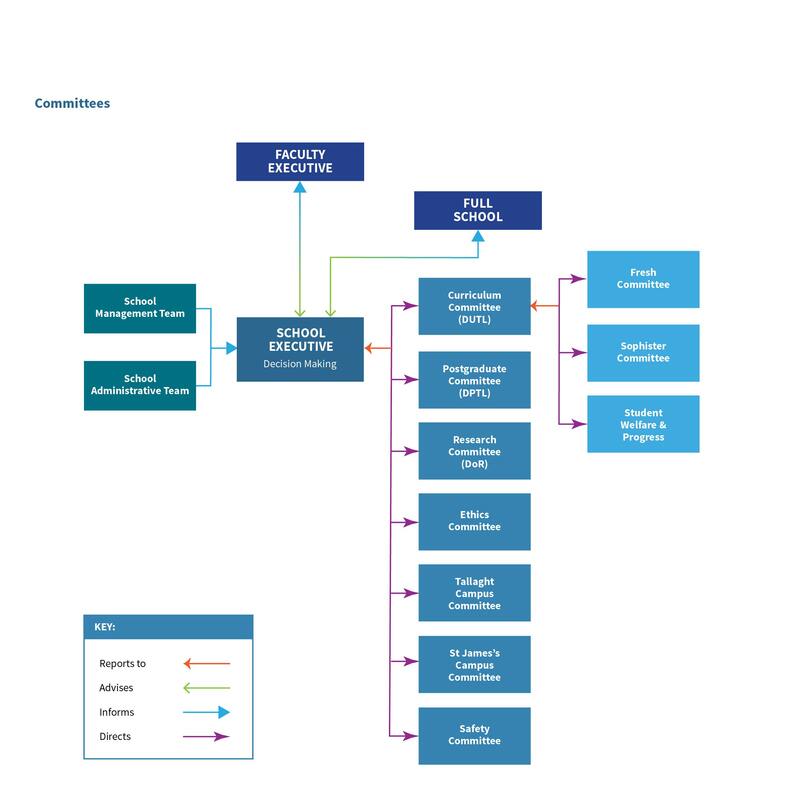 Non-contact time for each module is made up of pre-module reading, pre-module paper submission, and end-of-module research, end-of-module assignment and application in the workplace of the project. Two of the taught modules (Module 3 & 4) have online workshop (Audio/Video Conference) sessions to support framework development in advance of, and in support of the Healthcare Innovation Project modules (Modules 7 & 8). The online workshop sessions are lectures delivered in a distance learning format to facilitate participation from the workplace. The two project modules will be run in continuity throughout the year with Module 7 being undertaken during Michaelmas and into end-of-January in Hilary. Module 8 will begin following completion of Module 7 in mid-Hillary term and continue until end of Trinity term. The entry requirement for the course is at graduate level having achieved a minimum grade of 2:1in their undergraduate degree. Prospective students will be graduates working in a health or health-related discipline with at least 3-4 years professional experience. Other applicants with relevant workplace experience and general suitability, with appropriate support from their health service employer may be considered. Short-listed applicants may be interviewed if it is not possible to make a decision based on their online application. Applications made under exceptional circumstances will be referred to the Dean of Graduate Studies for adjudication. Application for this course is online, which will open mid-April. The programme is based in the Health Innovation Hub Ireland, in the main hospital on the St. James’s Hospital Campus. St. James’s is an academic teaching hospital and one of the three major hospitals in the Trinity Health (Ireland) Group partnered with the School of Medicine Trinity College Dublin. Postal Address: Health Innovation Hub Ireland, St James, Main Hospital, Dublin 8.